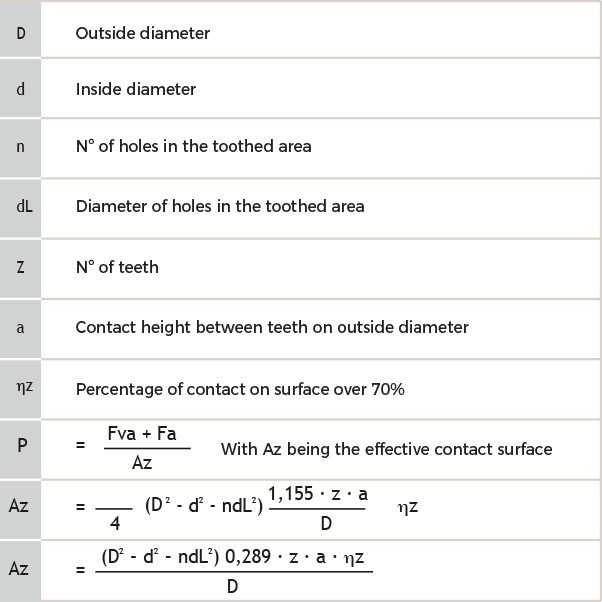 In consequence of the inclination of the tooth faces, an axial force Fa must be applied, due to the peripheral force Fu of the driving torque M.
This axial force must be absorbed with a safety coefficient of v = 1,8 to 3, due to outside systems which tend to compress the couplings. In a compression situation, with a suitable Fva load and with no transmission of force, this load is equally distributed on both faces on the tooth. Technical table - Standard Series (mm).